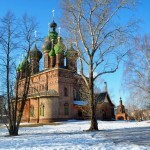 Church of Nikola Mokryi (St. Nicholas the Wet) in Yaroslavl, built in 1662-1675, is located at Chaikovsky Street, 1. 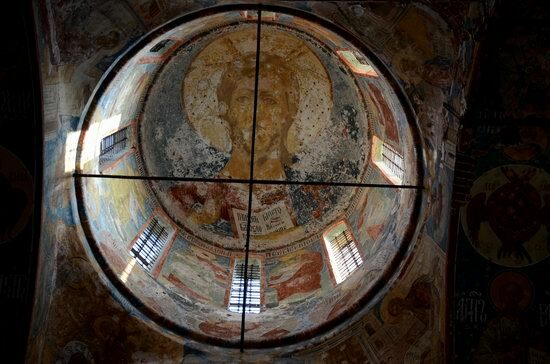 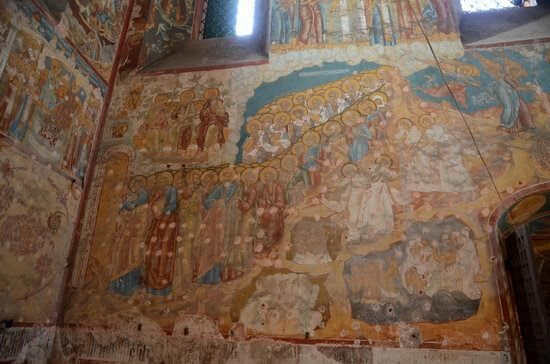 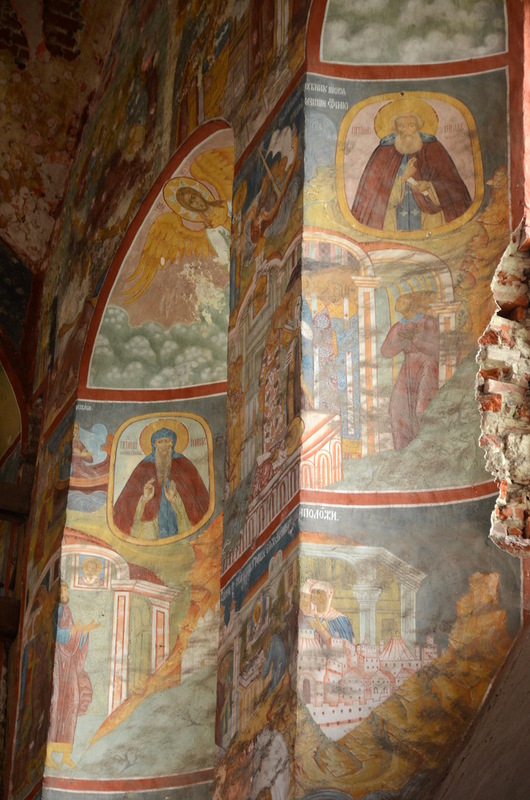 The church was named after St. Nicholas, in honor of whom the icon “Nikola Mokryi” was painted on the basis of an ancient story. 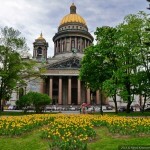 Photos by: Kirill Moiseev. 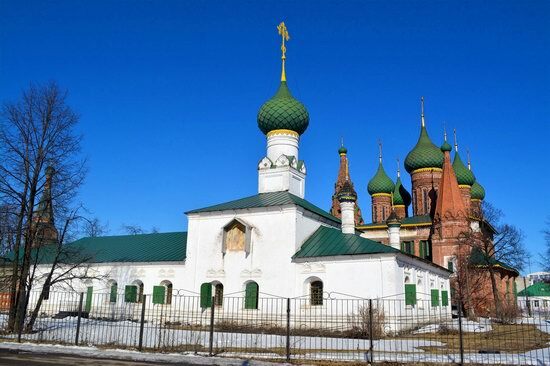 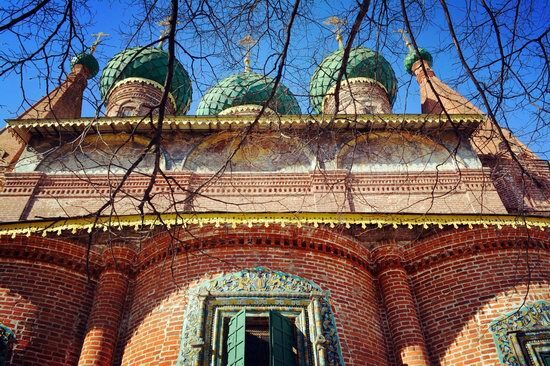 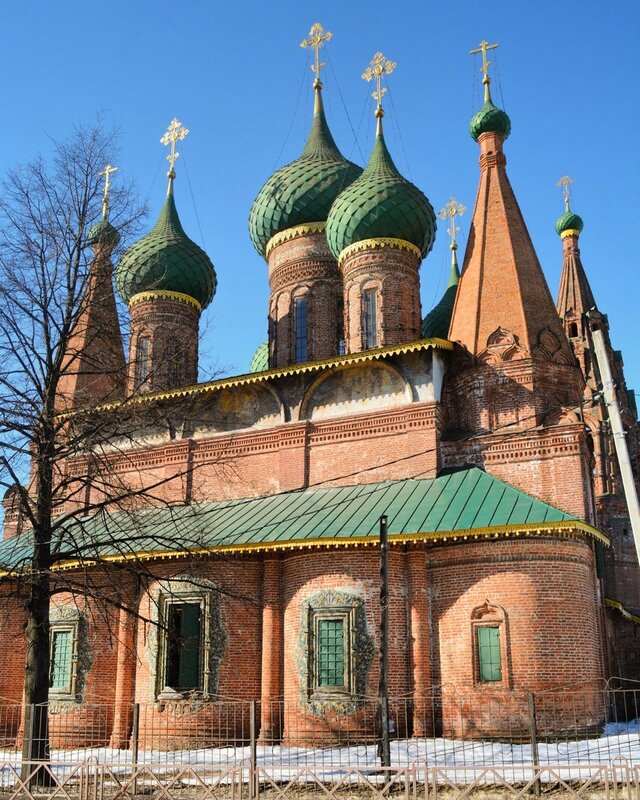 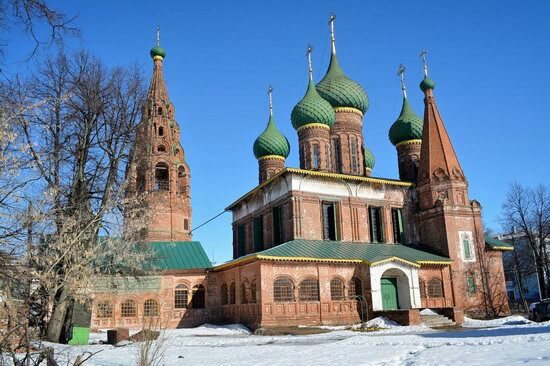 This beautiful old church attracts pilgrims and tourists exploring the famous “Golden Ring” of Russia. 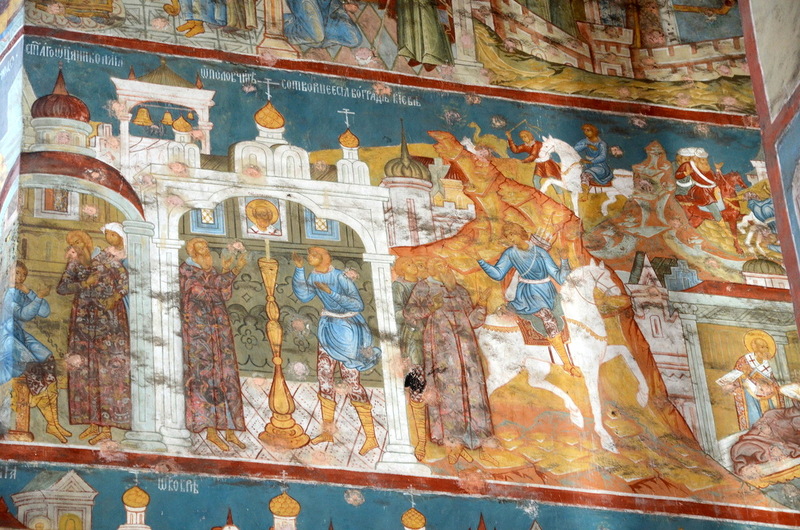 It is known first of all for its unique wall paintings. 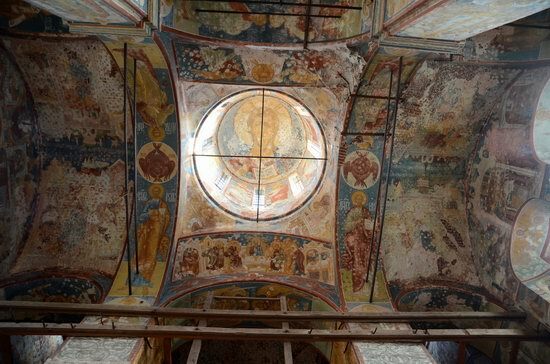 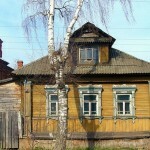 The remaining multicolored murals were made by the best masters of Yaroslavl painting of the 17th century. 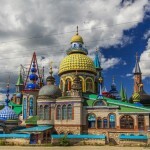 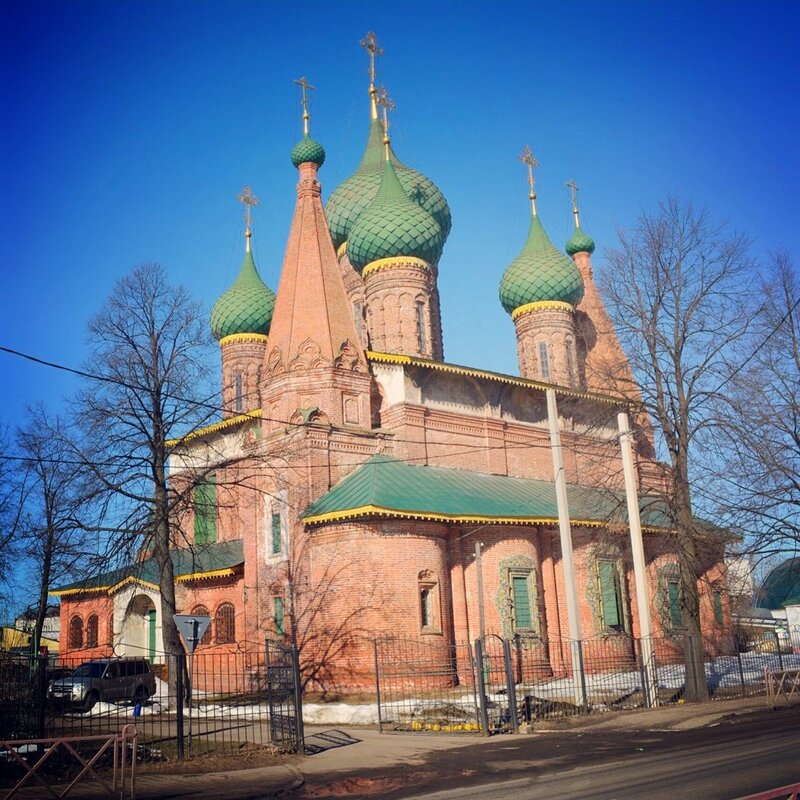 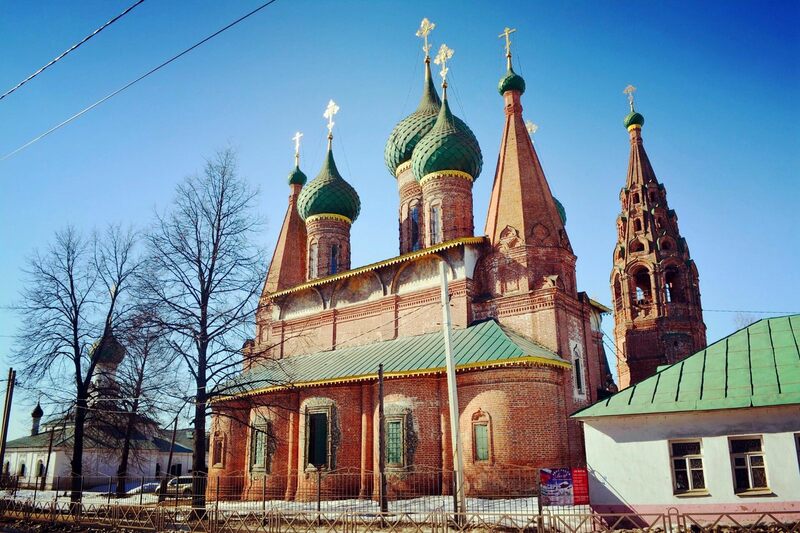 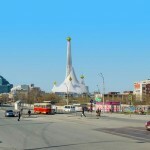 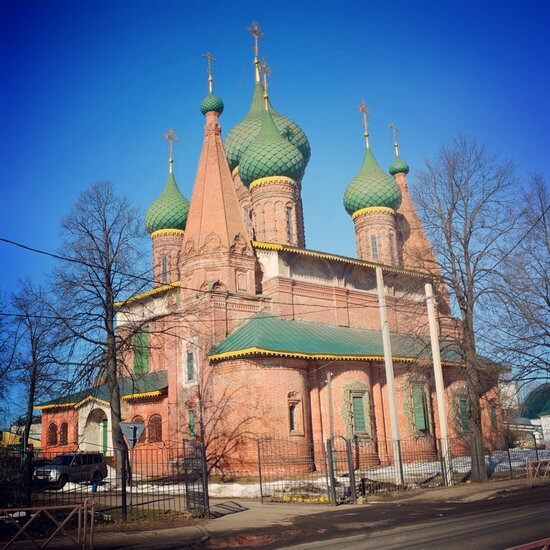 Next to the church you can find the Church of the Tikhvin Icon of Our Lady built in 1686. 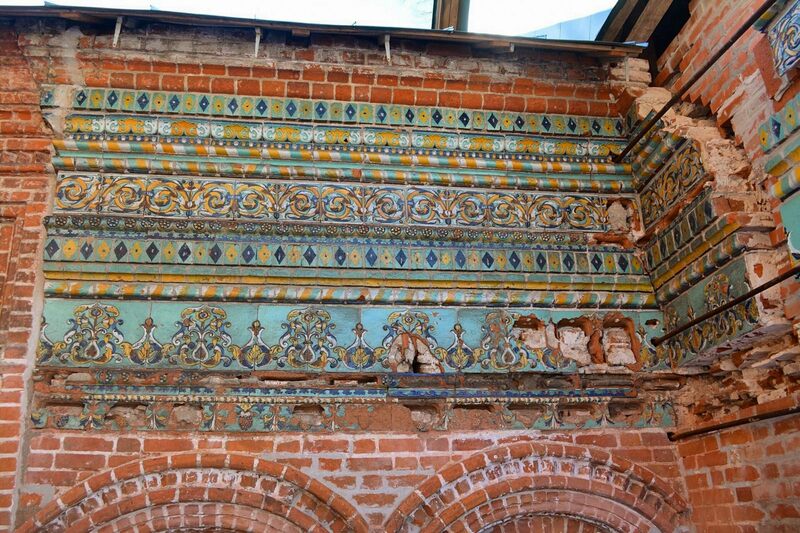 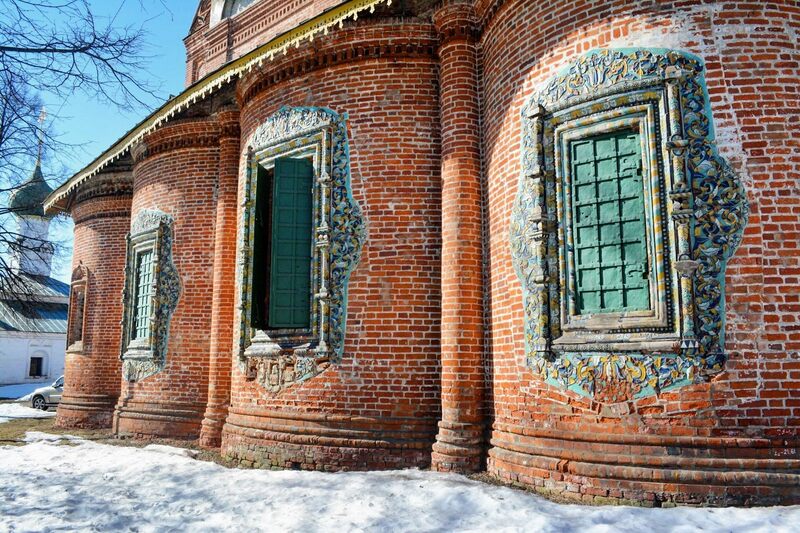 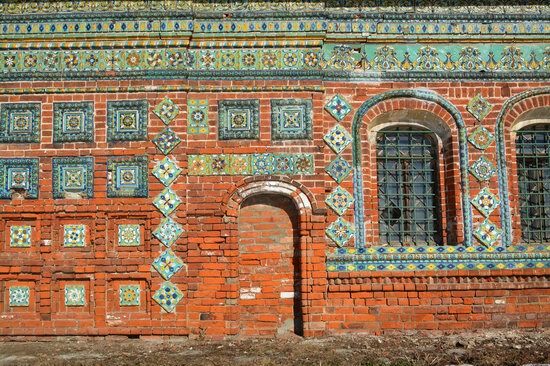 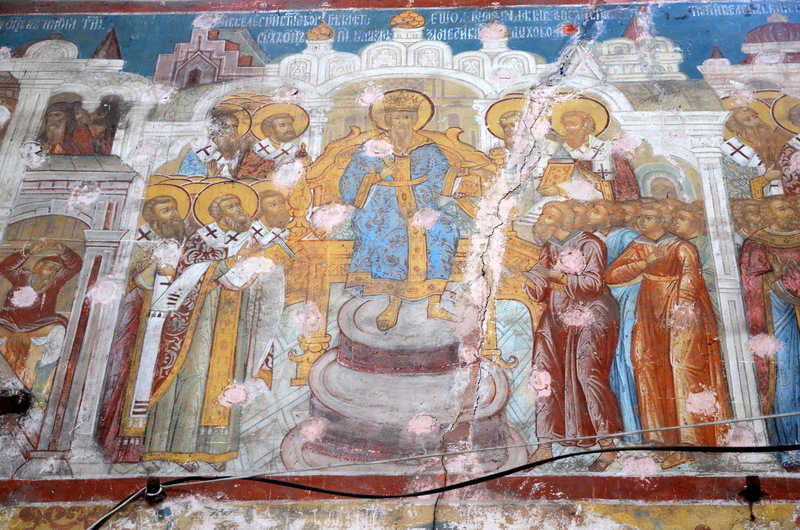 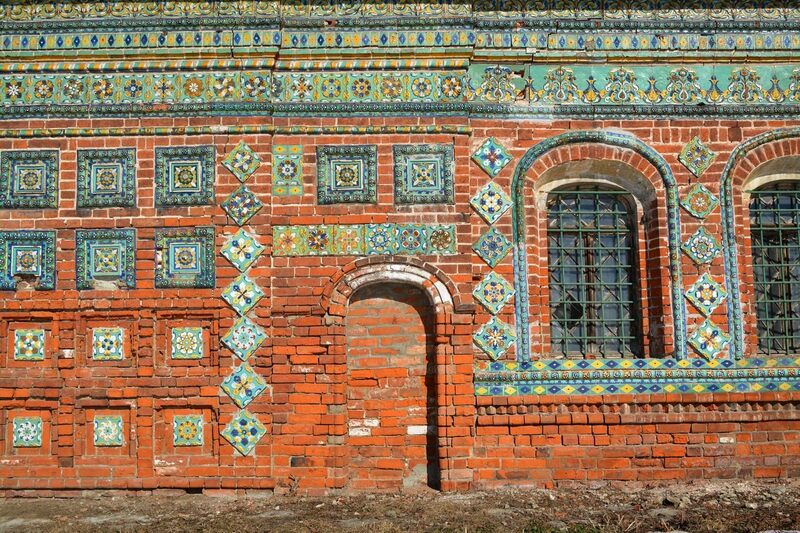 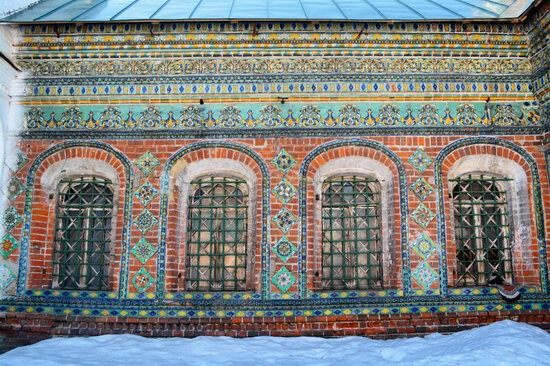 The walls of Church of Nikola Mokryi are covered with a beautiful mosaic. 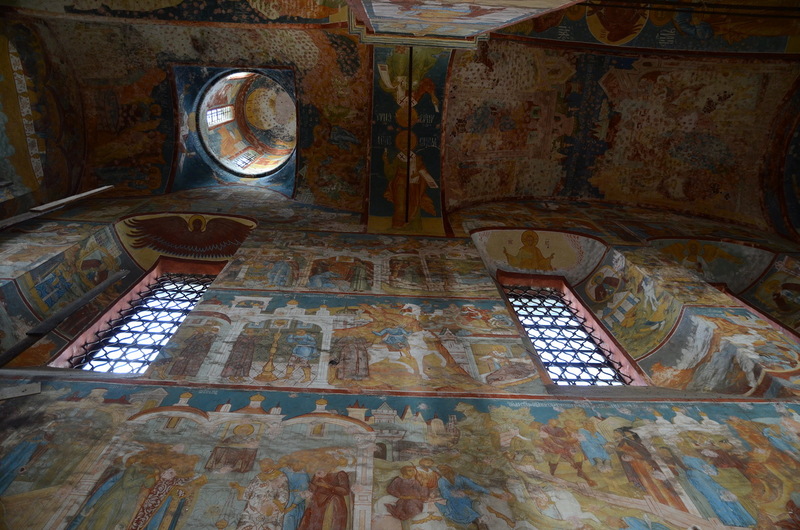 The interior of Church of Nikola Mokryi in Yaroslavl. 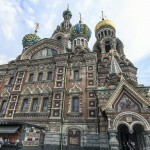 Photos by: Vita Colorata.